Nishikant Deshmukh’s breakthrough technology, which gives “eyes to surgeons to find a cancerous tumor,” will be especially useful in the developing world. 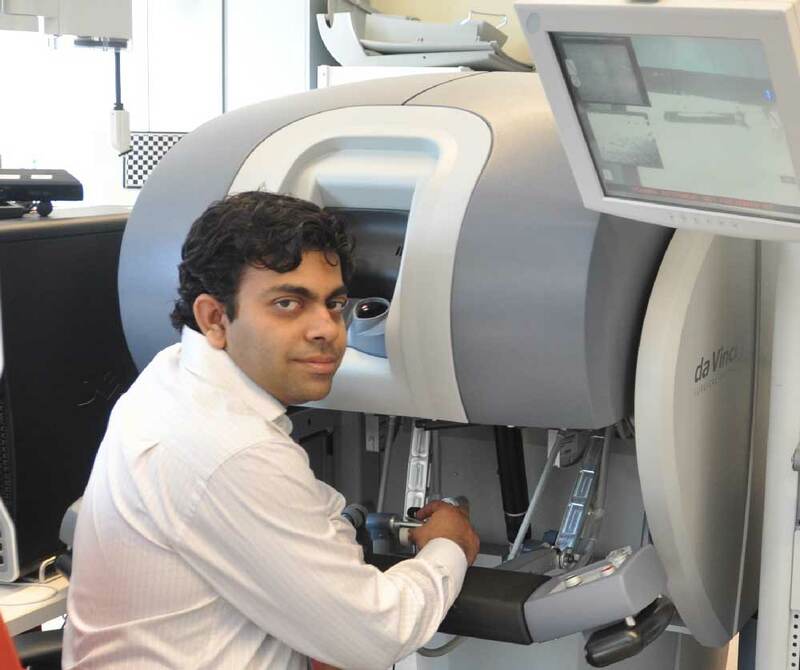 Dr. Nishikant Deshmukh with the da Vinci surgical console. BALTIMORE: An Indian researcher at the Johns Hopkins University has developed the world’s first five-dimensional ultrasound system that will help surgeons detect and treat cancerous tumors. Nishikant Deshmukh, 33, who just earned a doctoral degree from the prestigious university in Computer Science, developed the breakthrough system as part of his PhD thesis. The ultrasound technology currently used by most surgeons is predominantly two-dimensional. Some hospitals also use a more advanced 3D computer graphics. However, the 3D model is not real-time, and it takes longer to generate images, making it difficult for surgeons to use information from it while conducting complex surgeries that require real-time decision-making. “My technology can give vision to the surgeon for locating tumors while operating upon patients,” the Amravati, Maharashtra, -born researcher told The American Bazaar. In a nutshell, Dr. Deshmukh’s technology combines 3D ultrasound B-mode and the 3D ultrasound elastography volumetric data and make them available in real-time. Elastography is a medical imaging method that measures elastic properties of soft tissue and maps them as an image for diagnosing stiff regions such as cancer tumor. B-mode images are the ones we usually come across during a doctor’s sonography scan. Sonography, or diagnostic ultrasound, is a medical imaging technology where sound waves are used to produce images. A view of the 5D Ultrasound. A denotes detected cancer like region and B denotes the background tissue like region. 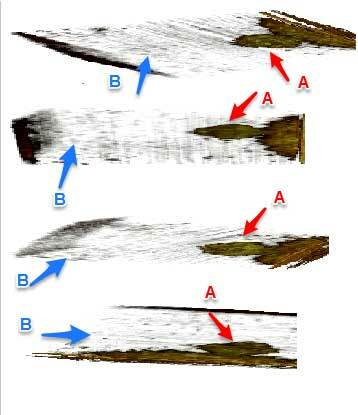 The images are of tissue and cancer mimicking material used for developing prototype systems. Dr. Deshmukh presented the findings of his research for the first time at the 2015 Information Processing in Computer Assisted Interventions (IPCAI), a premier forum in the field. He has also published the research, along with his advisors and colleagues at the Laboratory of Computational Science and Robotics at the Johns Hopkins University and the National Institutes of Health, in two journals, the International Journal of Computer Assisted Radiology and Surgery and PLOS ONE. The researcher said the technology would be especially useful in rural areas in the developing world where the more expensive Magnetic Resonance Imaging (MRI) is not available. Dr. Deshmukh has also integrated the elastography system with the minimally invasive da Vinci robotic system, which has been used clinically since the year 2000. Dr. Deshmukh came to the Johns Hopkins University in 2008 to pursue his higher studies. Earlier, he worked at the National Stock Exchange of India in Mumbai for three years. His knowledge in parallel and distributed computing at NSE helped him to do advanced research in cancer imaging at The Johns Hopkins University, he said. The field is identified as Computer Integrated Surgery, which is a cross-disciplinary field of Computer Science, Medical Imaging, Biomedical Engineering, Robotics and Mechanical Engineering. The researcher said he was motivated to pursue cancer diagnostic using computation power after seeing a family member die of cancer in rural India. “The disease could not be diagnosed at early stage,” he said. Dr. Deshmukh was also selected as the top 200 young scientists from 80 countries as part of the Heidelberg Laureate Forum and an INK Fellow, both in the year 2015. 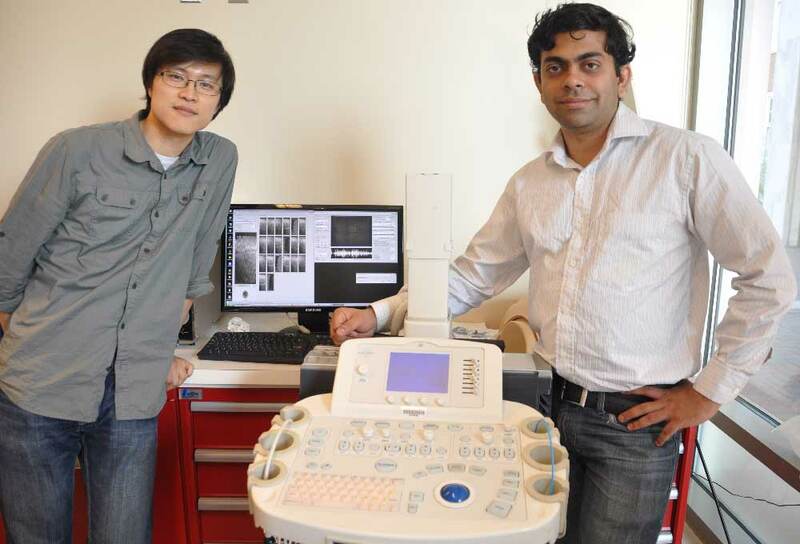 Dr. Nishikant Deshmukh (right) with his colleague and labmate Dr. Hyun Jae Kang with the altered ultrasound machine. Dr. Deshmukh is also a supporter of organic farming movement in India, which is working to lower farmer suicide rate, afforestation, children education and reduce pesticide-affected food. As part of a nonprofit, he and his colleagues at Johns Hopkins have raised nearly $300,000 for various causes in India. This is sweet! First time I hear something going to 5-D. I am curious to know are there particular algorithms which were used to build this? This is sweet! First time I hear something going to 5-D. Excellent work Sir!.This is the most needed technology in India. Most of people lost their lives just because late detection of cancer. When it will be implemented in India? I haven’t seen this 5D USD system in Indian cancer hospitals.